Hyaluronic Acid & Dragons Blood Extract – Protect. Nourish. Boost. 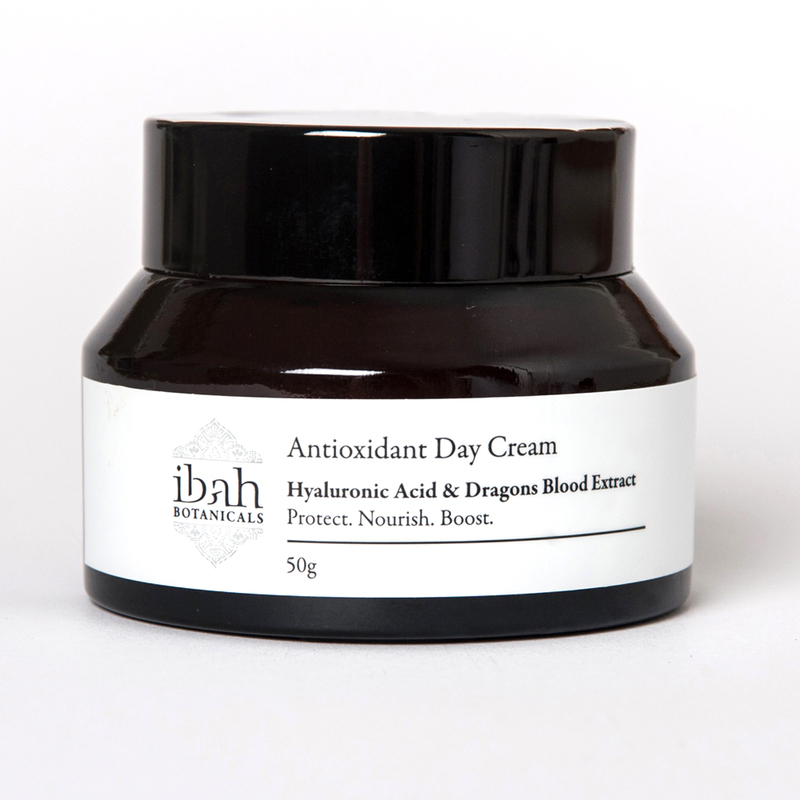 Age defying day cream with Dragons Blood Extract for collagen boosting and protection. Hyaluronic Acid to retain and hold moisture for youthful healthy vibrant skin. Pomegranate, Camellia and Watermelon Seed Oils rich in E.F.A.s which are powerful antioxidants. Lilly Pilly and Organic Green Tea Extract makes this cream rich in vitamin C and the naturally occuring AHA in raspberry seed oil gives a healthy glowing complexion. Directions: Apply at day to cleansed face and neck. *Aloe Vera Leaf Juice, *Camelia Oil, *Coconut Oil, Glyceryl Stearate Citrate, *Glycerine, *Jojoba Australian Oil, Cetearyl Alcohol, *Shea Butter, Hyaluronic Acid, Dragon's Blood Extract, Glyceryl Caprylate / Glyceryl Undecylenate, Stearic Acid, *Cocoa Butter, Raspberry Seed Oil, Meadowfoam Oil, Acacia Senegal Gum / Xanthan Gum, Vitamin B5, Pomegranate Extract, *Green Tea Extract, Rose Geranium Essential Oil, p-Anisic Acid, Rosewood Essential Oil, Lilly Pilly Extract, Iris Florentina Extract, Watermelon Seed Oil, Citric Acid, Mandarin Cold Pressed Essential Oil, Vitamin E – Natural. *Denotes Certified Organic.